As someone who is lucky enough to have found love and held on to it, I find myself particularly struck by Blue Valentine. It’s not that a solitary individual will take nothing from the film, but it helps vastly to have some evocative experience with the love and salience of a relationship. At the core of the film is love, but in larger doses reside the blights of distrust and doubt, the arsenic of fear. So much of this experience is visceral that it’s no wonder the film has garnered a reputation as an emotional wrecking ball. 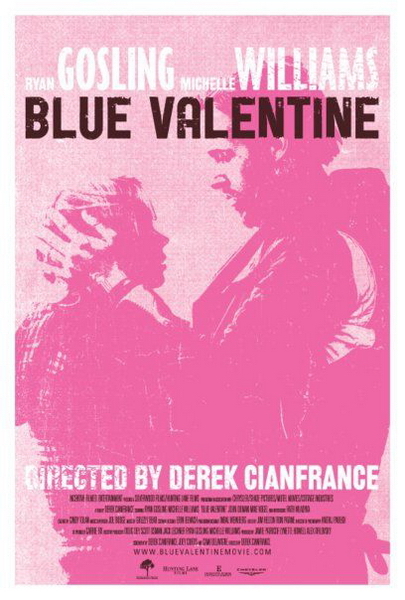 While it certainly has its agonies, Blue Valentine is far from a one-note melancholic. There’s a lot of beauty in this film, and it’s delivered with equal sincerity.